Wee Gems Designs: I get to play in the 5th Bead Soup Blog Party! 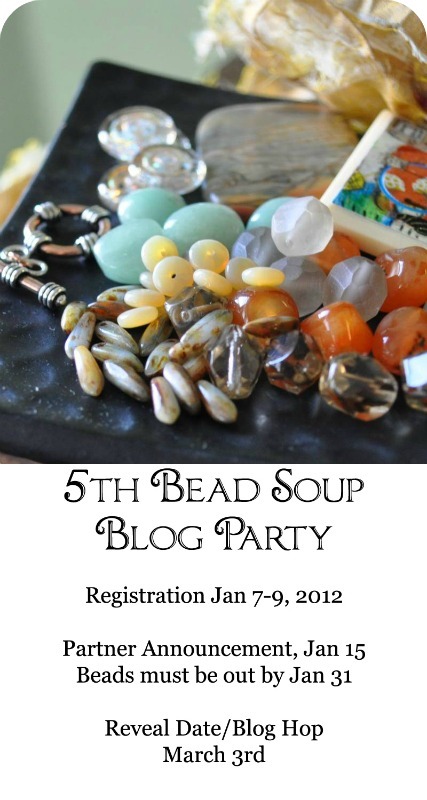 I get to play in the 5th Bead Soup Blog Party! I am so excited, I am on of the lucky 200 people who was picked to participate in this party! Lori Anderson of Pretty Things puts this together and does such a great job that she had over 350 people wanting to participate this time. So we all signed up knowing that there was a chance we wouldn't get to participate this time, well, at least not send out soup, but I know I would still be blog hopping to see all the fun even if I wasn't picked! I'm so excited that YOU are excited! Bead Soup is in the mail!